My love of all things NASA had me surfing around their website(s) the other day when I stumbled across a very interesting section on Natural Hazards. I was amazed at what I found. 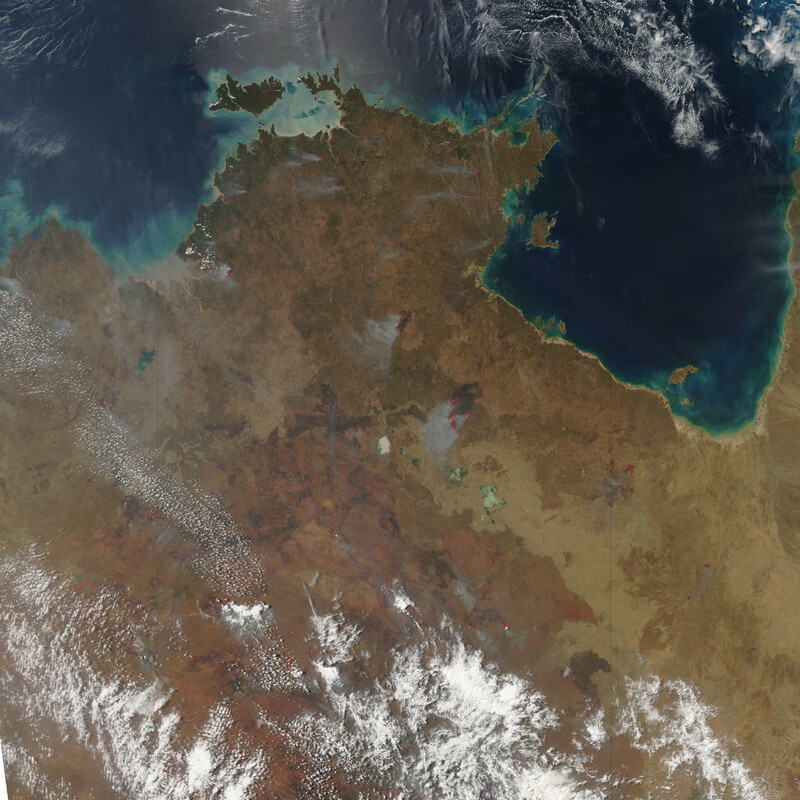 Check out the views from orbit of many natural disasters under their categorical headers of Fires, Severe Storms, Dust, Smoke, and Haze, Floods, Volcanoes and Earthquakes, Crops and Drought. Of course, being a tabletop gamer, it also got me thinking about how much I might need to include in my own campaign setting. The images will absolutely stun you. Warning: These images are also large and very detailed. 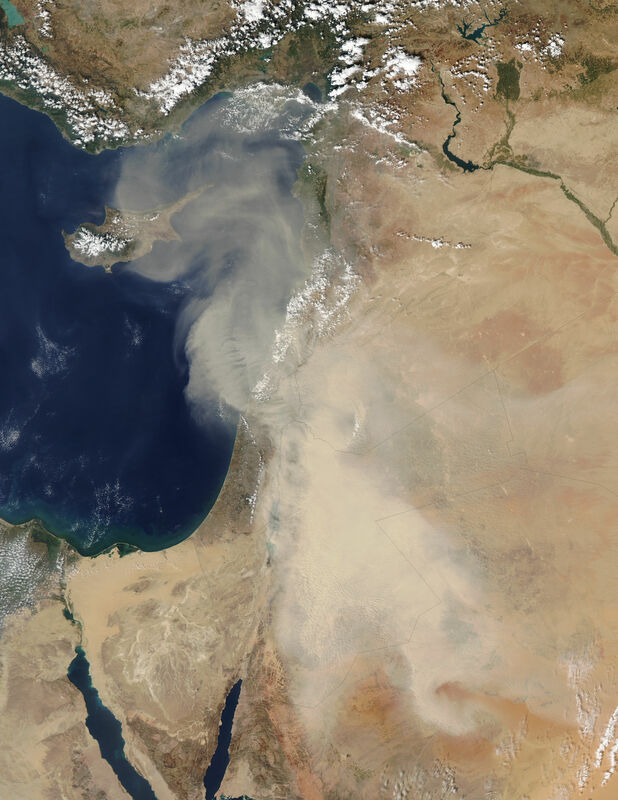 A dust storm in the Middle East. The University of Portsmouth website has compiled some excellent old world maps deep in the bowels of their geography pages that are well worth checking out if you plan to do any gaming cartography for your tabletop roleplaying game campaign and setting. 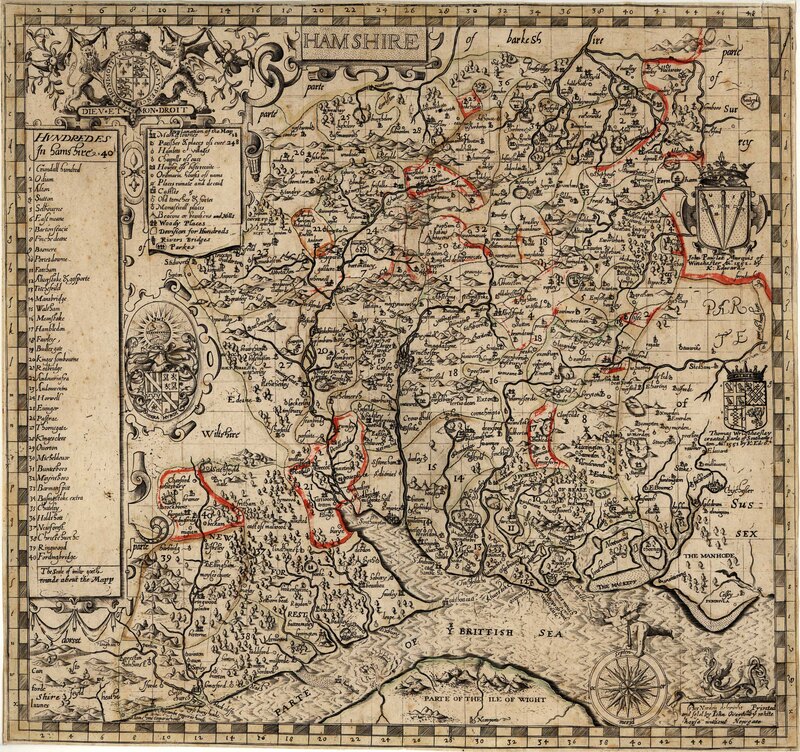 In particular, take a look at their sections on Old Sussex and Old Hampshire. Here are some examples . . .
With all the stuff orbiting the Earth, it's actually amazing that more of it doesn't fall on folks much more often. Sure, a lot of it burns up upon re-entry and the oceans are big, but there's a lot of stuff that falls to the Earth both manmade and otherwise. Anyway, a NASA satelite was expected to fall into the Pacific ocean last night, though about 1,200 pounds of the six tons was likely to make it through the atmosphere, with the largest surviving portion expected to be around three hundred pounds. Some believe that parts of it might manage to strike the West Coast up in Washington or Canada but nothing reported seemed to indicate that happened. Read more here. Often overlooked for Medieval Fantasy campaign settings is the placement of megafauna. It's an element that's easy to integrate which has both a familiar yet alien feel. Unlike more tranditional monsters from roleplaying game manuals, which require more consideration to place and explain, megafauna can be woven into regular biomes with only slightly more consideration than typical animal life. And, of course, they are inherently awesome. Here's an exercise in world-building. Imagine the campaign world you have made from orbit. Here's a little help, in the form of time-lapsed footage from the International Space Station of our own planet. Science Daily reports that NASA's Kepler Discovery has confirmed spotting the first circumbinary planet, a known to be orbiting a two stars. Though cold and gaseous, and therefore not thought to support life, the planet is the first of its kind to be definitely detected. Apparently, most stars in our galaxy are binary systems so the discovery of the planet increases the odds that there are other worlds we could one day find and explore, though that day is likely a very long way off. Read more here. Take a good look at Trollsmyth's Hex Mapping series of blog posts starting with #1 from July 25th, 2011. He does his best to leave no stone unturned! It's, so far, a 17 part series, divided into digestable blog-chunks. He begins with some overarching concepts and then lays out his own process step-by-step as he geographically sets up a hex-crawling landscape then populates the environs with the creatures and cultures that can be encountered. Blog #14 and #15 where he gets into what exporers can see and random features are particularly interesting. Enjoy the whole series and stay tuned for more! Most of the time a Game Master has a god idea of the style of names he wants to use for a setting, the people, places, and things within. But sometimes it helps to look at other options, to be sure that some variations are not overlooked or merely to gain some inspiration for consitency and/or variety. Using a search engine, one can find a plethora of ganerators out on the Worldwide Web but recently I have been clued into a very nice excel spreadsheet application by EN Worlder "Aero DM" (AJ on his blog) that bears mentioning and sharing. You can ind it here. He has some other resources worth checking out also and an interesting game philosophy that also should be read and enjoyed. 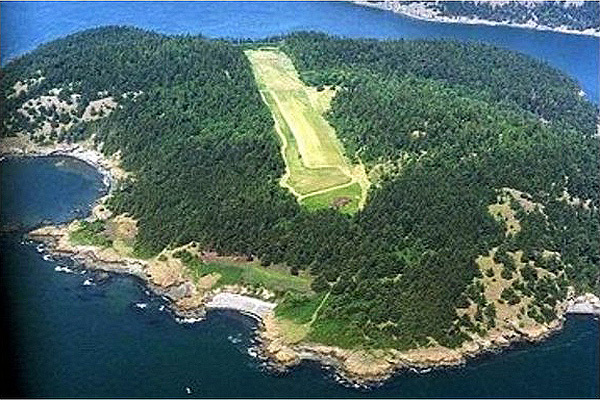 Allan Island is up for sale, again, and this time the price is down from 25 million all the way to 13.5 million. That;s dirt cheap! Billionaire and Microsoft co-founder Paul Allen (the island is named after a Navy Hero, note the spelling difference) is still trying to unload the property after switching his vacation home plans to the Sperry Peninsula. It doesn't have electricity, yet, but plenty of well water, a grass airstrip, a boat dock, a caretaker's cabin, and is already approved to subdivide into up to 44 separate properties, should you wish to develop the place. Personally, I think it would be an ideal place for the Gamer Retirement Community we all discuss from time to time. A huge example of one of nature's most feared predators was captured about a week ago in "the remote village of Consuelo, in Bunawan township, Agusan Del Sur province in southern Philippines." The locals have named the crocodile, which weights over 2,300 pounds, LoLong. Follow the link to check out another half dozen photos of this magnificent beast! Sometimes it is fun to play a game wthin a game, particularly a game wthin a tabletop roleplaying game, when you can play that inner game in-character. It adds flavor to the setting and creates a different kind of tension in the experience, and tension within the game is often a good thing to promote. On more than a few occasions I have broken out a little dice game caled Ship, Captain, Crew (available for free from Creative Mountain Games!). It's a simple game to learn and fast paced to play. If you can manage to get the players to stay in character while playing, it is not only a fun exercise but an easy way to get the players who tend to be more shy to open up and roleplay a bit more than usual. It's low stakes to roleplay while the character is only involved with the setting through a game which the character is playing. The fact that the player is going through the same motions that the character would be, rolling the dice, perhaps wagering in-game a little, and even grumbling if the dice don't come up their way, makes roleplaying a lot more natural and the lessons learned while doing so carry over to the rest of the gaming experience. Give it a try! In the Fall of 2007, Ben Robbins began blogging about his sandbox game, the West Marches, on his WordPress site ars ludi. The five parts series of blogs began in October of that year as Grand Experiments: West Marches, was followed by two more in that same month in the form of Sharing Info and Recycling, then a fourth in December of 2007 titled Death & Danger (a sly nod to D&D), and finally was revisted in May of 2008 with a Running Your Own. The series is an excellent discourse on sandbox-style tabletop roleplaying game setting design and Game Mastering. In Part One, Robbins first sets out his motivations and goals. Although someone could use his experiment as a template for a weekly game with the same recurring group of players and characters, this was not his situation. Robbins had plenty of players, as it turns out something on the order of fifteen who played from time to time, but getting any number of them together to play on any given day of the week was problematic, so he designed his campaign to allow for the players to call the game night and provide enough players from the pool to make it worthwhile for everyone. For this effort, sandbox-style gaming was ideally suited. The players would make discoveries in the course of playing that would motivate them to organize parties of characters for each foray. Robbins likens this, appropriately, to the characters gathering at the local watering hole and mustering the numbers necessary to accomplish their planned excursions. This form-following-function method was motivating his own creative powers and worked well for Robbins, too. As the players planned, he ensured they also knew he would need to be given some time to prepare for the sessions. The knock-on effect was that the players then had a plan in advance of the game and some extra time to refine their approach with the roster of available player characters they managed to engage. The setting design was radial, spreading out from "fortified town that marked the farthest outpost of civilization and law." Areas closest to civilization were primarily less dangerous than those farther away, with some exceptions I'll mention later. This is notably similar to some early advice in (O)D&D from Gygax when discussing underworld design (The Underworld & Wilderness Adventures: Volume 3 of (O)D&D, page 9) in regard to successive levels of dungeons needing to be "progressively more dangerous and difficult." He makes no such mention regarding Outdoor setting design in those early booklets, as player character exploration in the wild was considerably more dangerous. Gyagx does, however, discuss such reasoned design in the his next edition when writing "The same concept applies to areas outdoors as well, with more and terrible monsters occurring more frquently the further one goes away from civilization" (AD&D 1E DMG, page 87). One would find Dante's tour of the Inferno, if he were an adventurer battling his way through, rather anticlimactic if when venturing into the First Circle he and Virgil were beset by the sword-wielding demon from the Eighth Circle and subsequently slaughtered. Abandon all hope, indeed. Robbins places few restrictions on the players and their characters beyond disallowing action away from the frontier and discouraging in-town exploration. If I have one quibble, it is with the latter stipulation. I understand his motivation for nudging the player characters out of the nest, and keeping the nest as a perpetual safe haven given that his on again, off again group of players needed that zone to exist for organizational purposes. However, I am a big fan of having that third leg of adventuring locations: Underworld, Wilderness, and Urban. It is often a good places to get initial clues and ongoing information but for Robbins's purposes that sort of thing is either hand-waved or freely given in a narrative form. Clearly, that worked great for what he wished to accomplish. Bottom line? Ben Robbins's West Marches blogs are an excellent treatise, on creating a campaign setting and on game design, that prospective GMs would do well to read and heed. This is particularly true for sandbox games but understanding the concepts would assist non-sandbox GMs as they strive for consistency between game sessions so that players feel the setting they explore engenders meaningful choices even in more linear styles of play. I'll blog more on his subsequent blog posts, and on the whole, and include more thoughts of my own, some additions and alternatives, in due course. In the meantime, read his series. It's outstanding! I'm not making light of the situation in Texas when I say that a page can be taken from their plight to use in any RPG setting. Too often, only the "glam" disasters (Floods, Hurricanes, Tsunamis, Tornados, Earthquakes) seem to get press coverage and natural, less immediately spectacular disasters get short shrift from the press. The situation in Texas is dire and will have long term affects not only on Texas but the entire USA and even the world. Whole herds of cattle are being sold off, fortunately in an up market, but when some of the older farmers sell off they never get back in the game. The fire and concurrent drought has evaporated watering holes on many ranges forcing long time ranchers to reduce their stock to a few breeders and many are seeing this as a time to cut and run permanently, and who can blame them? As herds disappear and are not reconstituted in the subsequent years, prices are going to skyrocket for domestic beef and the USA will become dependent on foreign sources of broil (sorry, couldn't help it). Keep an eye on this. Even as the country is recovering from East Coast adversity, what is happening to our friends in Texas is going to become a recurring topic of discussion for many, many years to come. How many species in your game setting? 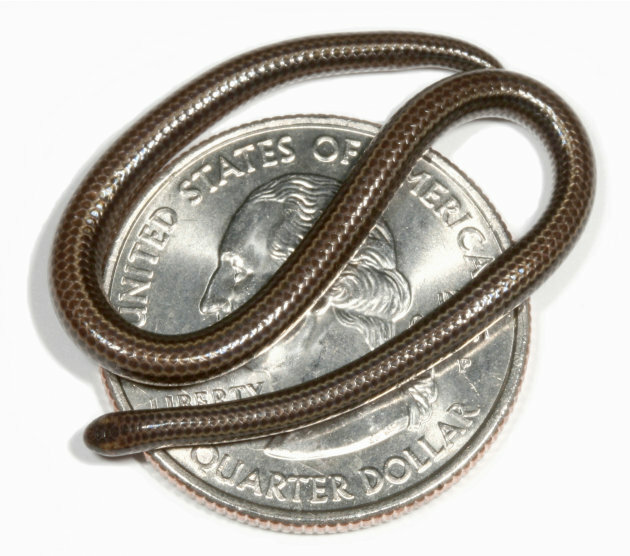 An article (along with the picture of the world's shortest snake, below) claims that our real world may have nearly nine million species with the vast majority as yet undiscovered. Why not just claim twenty million then? I'll let you know when I find out why 8.8 is the claimed number, or you tell me. In any event, there's certainly no reason you cannot claim your Medieval Fantasy setting's species are still mostly undiscovered.